The affidavits filed by the Secretary only discloses paper compliance of the Government Order laying down the mechanics in the matter of Mid Day Meal being provided to the students. The affidavits discloses that as many as 3,89,399 students are covered by the Mid Day Meal Scheme. These students are studying in 299 primary institutions and 159 in upper primary institutions. It has been stated that 2467 kitchens have been constructed and are running with the help of 8770 cooks. It has also been stated that these cooks are responsible for preparation of the meal cleaning of the utensils. It would be appropriate in the facts of the case to direct the highest officer of Education Department in the district to personally visit the shades which have been constructed for preparation of the Mid Day Meal as well as the institutions where the food is distributed and file an affidavit indicating the current status of day to day work.Photographs of the shades and cooked food with details of cooks engaged be brought on record by the next date. The matter shall be listed next on 11.1.2016. Interim order shall continue till the next date of listing. Notice on behalf of respondent no. 1 to 3 has been accepted by Standing Counsel, respondent no. 4 to 6 are represented by Arun Kumar, Advocate and respondent no. 7 is represented by Anuj Kumar, Advocate. Three weeks time is granted to file counter affidavit. Rejoinder affidavit, if any, may be filed within a week thereafter. It is contended on behalf of the petitioner that the allegations made in the order impugned for suspending the petitioner are in respect of issues, which are not directly or indirectly related to teachings work which is the primary responsibility of the petitioner as Head Master. It is submitted that the charges are wholly vague and effect the education. The department is insisting upon the teachers to look after cooking work etc. when the basic duty of teachers is to teach the students. Matter does requires enquiry by this Court. Till the next date of listing, operation of the order of suspension dated 04.08.2015 shall remain stayed. However, enquiry may go on. Let the matter be listed on 08.10.2015. This special appeal is directed against the judgment and order dated 21.08.2015 passed by learned Single Judge in writ petition no. 47296 of 2015: Jeet Narain Singh Vs. State of U.P. 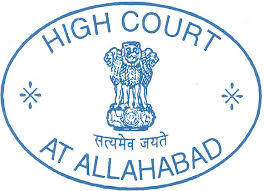 & others, whereby writ petition of petitioner-appellant was dismissed providing that the enquiry proceedings which may be taken against the petitioner shall be concluded expeditiously and preferably within a period of three months from the date of production of a certified copy of the order subject to cooperation of the petitioner with the enquiry proceedings. From perusal of record, it appears that petitioner-appellant being Head Master in the institution concerned was put under suspension on certain irregularities regarding distribution of mid-day-meal. By means of said writ petition, the order of suspension was challenged, which was dismissed on 21.08.2015. Against the said order passed by learned Single Judge present special appeal has been filed. By an interim order dated 7.9.2015 passed in the special appeal, operation of order of the suspension dated 04.08.2015 was stayed on the submissions made by learned counsel for the petitioner-appellant that the allegations made in the order impugned for suspending the petitioner are in respect of issues, which are not directly or indirectly related to teaching work which is the primary responsibility of the petitioner as Head Master. However, the enquiry was directed to go on. In the circumstances, this special appeal is finally disposed of with the direction to the petitioner-appellant to cooperate in the enquiry proceeding which is said to be going on as is evident from the said interim order. However, if the petitioner-appellant is not found guilty in the enquiry, he will be reinstated in service forthwith and will be paid salary for the period of suspension. The petitioner-appellant will be at liberty to take all grounds available in his defence in the enquiry proceedings.